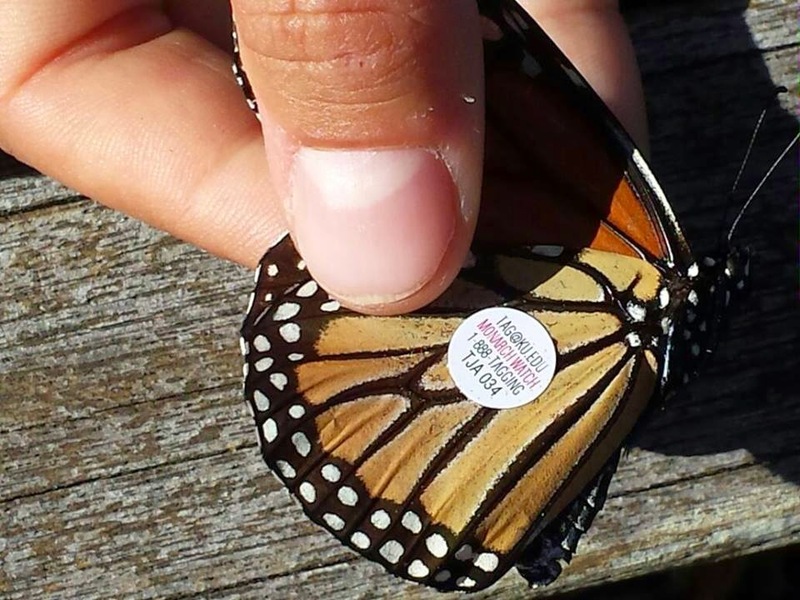 Yesterday we found this tagged Monarch with the tag number TJA 034. Currently we don't believe this code is one of our own. This is exciting news! It means that we've likely found a tag from a different tagging effort. Who knows how far away this Monarch may have flown from? It was quite worn so I would guess it has come quite a ways. Only time will tell! Once we find out where it was tagged, we'll learn more about Monarch migration routes, and pace if migration. 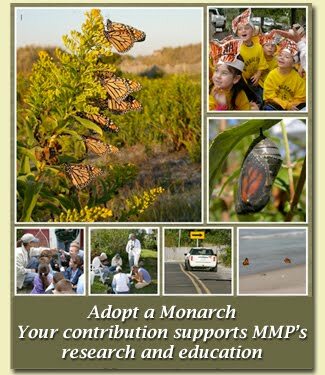 We can hopefully answer some questions like: Where do the Monarchs migrating through Cape May come from? How quickly were those Monarchs moving? How long has it been travelling, and how has that contributed to its level of wear? This is what our project is all about, and I'm very excited to hear more news of our little friend. We will report this to Monarch Watch and in due time they post a summary of all of the year's recaptures. But we get enthusiastic about recaptures and would like to speed up the process. So if you know of any other groups or individuals who are tagging, please share this post (or the one from our facebook page, Cape May Monarchs) so that we can reach out to the lucky taggers more quickly.